As you’ve probably heard by now, the iconic Notre Dame cathedral in Paris caught fire last night (Monday, April 15), causing the roof and spire to collapse. The building is over 800 years old, and has been a huge part of French culture and history. For comparison, it’s closest rival – the Eiffel tower – is only 132 years old, so you have an idea of just how important Notre Dame truly is to the people of France, and the world. While this is an undoubtedly heartbreaking scenario, efforts to rebuild are already being put into action, and the damage could have been much worse than it ended up being as the blaze has now been fully extinguished. The building will be restored as closely as possible to how it was before the fire, meaning that builders and architects involved with the project will be studying a number of photos and videos of the cathedral to recreate it as faithfully and as carefully as possible. Help is coming from all over the world, and one unexpected source of information is said to be Ubisoft’s own Assassin’s Creed: Unity. 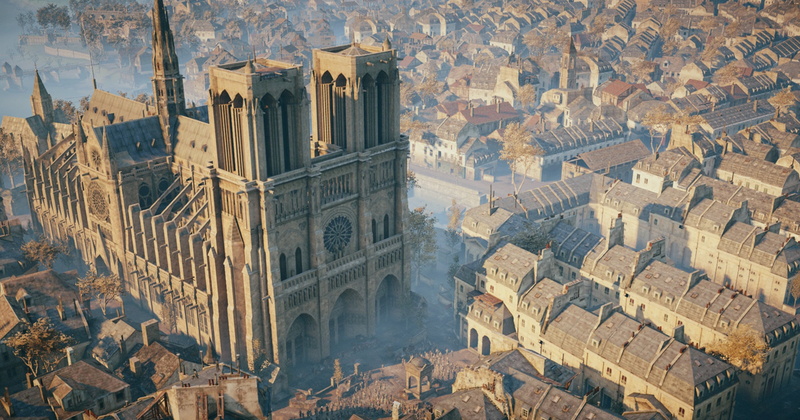 As you may know, Unity is set in Paris, 1789, and features a truly stunning recreation of Notre Dame cathedral. It’s this incredibly carefully put together digital version of the building that could prove invaluable to its ultimate restoration. 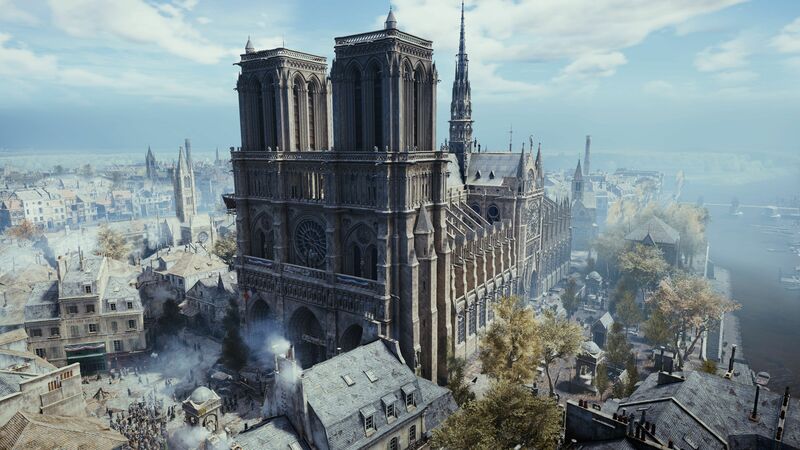 A new report from GPS World, has now suggested that detailed 3D maps such as the one in Assassin’s Creed: Unity will play a role in the restoring of Notre Dame to its former glory. While we might not have expected Assassin’s Creed to emerge as an unlikely hero in the rebuilding effort, it does make a lot of sense; Ubisoft tend not to mess around when it comes to recreating cities and landmarks in their games, and its version of Notre Dame may just be its finest work to date. Unity artist Caroline Miousse, told The Verge a while back that Ubisoft’s version of Notre Dame was easily the biggest building in the game, and that she spent ‘literally years fussing over the details of the building’. We’ve reached out to Ubisoft for comment and will be sure to update the article if we hear back.